My Documentary is Coming Soon! 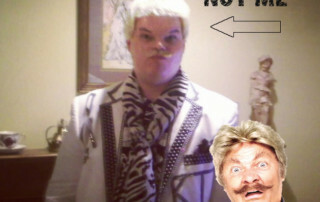 My friend David emailed me a photo of himself made up as me. Not a bad resemblance, eh? This kid is going places! Where he’s going is anyone’s guess, but at least he’s gonna look great when he gets there! CBS LA interviewed me regarding my dear Debbie Reynolds’ passing. You can see the interviews here. 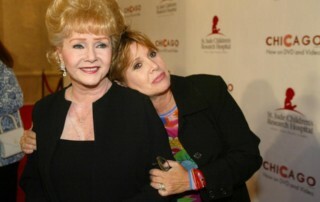 My dearest darling Debbie Reynolds’ daughter Carrie Fisher, as you know, has passed. It’s been devastating to her entire family and the entire show business world. What do you say at a time like this? We can only think about how wonderful she was and everything she did with her talent. I knew Carrie before she was born! That’s how far back Debbie and go back. Carrie will be missed by all. A few years back, my dear friend Debbie Reynolds was supposed to present me with my star on the Hollywood Walk of Fame, but she was filming that day, so she got Zsa Zsa Gabor to present it to me instead. She had her husband, the prince, with her at that time and she said “it is an honor to present this star on Hollywood Blvd, to my dear friend…” and she looked around and said to her husband… “What’s his name?” Well, we realized she was serious and we all started screaming with laughter. 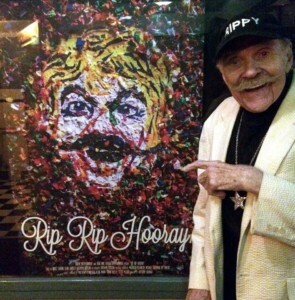 And then she said “Rip Taylor.” So, that was fun! We’ll always miss her. 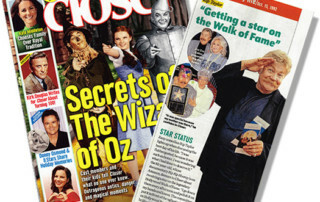 I’m in this month’s Closer magazine. Pick it up! 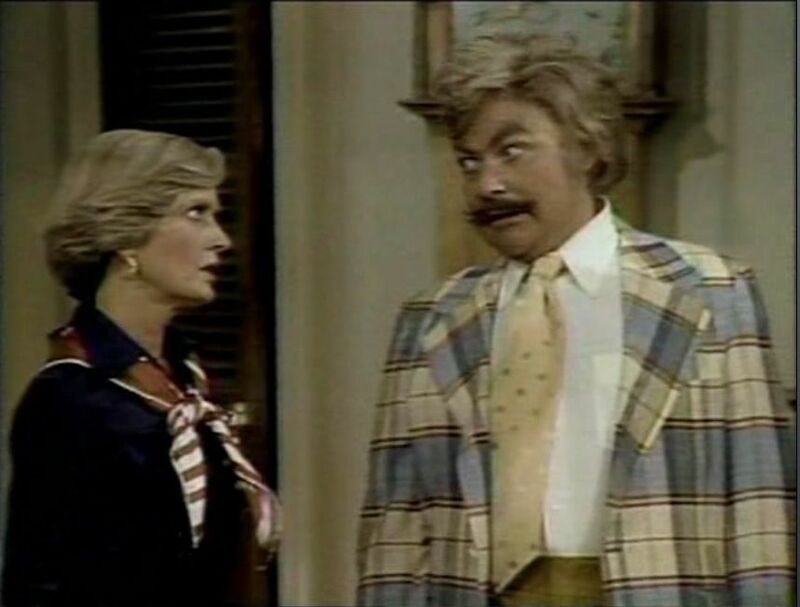 Today we lost the darling, lovely Florence Henderson. I worked with her for many years on various shows, the Brady Bunch being among them. Florence couldn’t be any more of an angel. I know everyone will say what a wonderful woman she was, because it’s true. There was no one like her. I’ll never forget her, or all of the fun we had together. Florence was one of a kind. Heaven just became a little brighter today, and we’re a lucky world to have seen this beautiful woman with such unique talent. Happy Thanksgiving and Guess What? I got my star on Hollywood Blvd long time ago. Tomorrow on the 24th, at 8pm, KTLA is honoring everyone who got a star! Happy Thanksgiving to everyone I know and have seen and who have seen me. 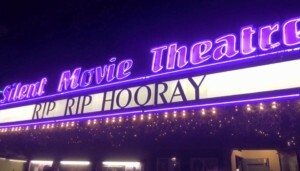 Two weeks ago, the producers of my documentary “Rip Rip Hooray” rented a huge theater and we finally showed it to the public and some buyers. I’ve never had such a wonderful time. After we showed it to the audience, no one left the theater. Surprise surprise! I got onstage and did an hour of Q&A (questions and answers) and the audience was so responsive and laughed at everything, which really encouraged me, or the ham in me, to stay on for an hour! I was surprised and grateful. The documentary is coming out soon. The producers are showing it to buyers. I’ll keep you posted. I did a one-night-only special guest appearance with Tara Reid. She opened the show and I closed it. The show is very popular I found out, which is why I did it. It was absolutely magnificent! It was such fun. Total ad-lib after they showed the scenes, and I can’t thank them enough for having me. I’ll tell you who they are: AFTER DARK WITH JULIAN CLARK. At THE SECOND CITY, a studio theater in Hollywood. It’s a cast of performers. Then they had two of us come on. I followed Tara. I couldn’t have been more honored or had more fun. I wish you could have been there. They laughed at “hello”! When they called me an icon, I almost threw up! What a flattering evening it was. I wanted you all to know about it. I can’t thank the Second City group of actors/producers enough. Everyone was absolutely terrific to me. The theater was sold out! The actors are wonderful and I can’t wait to be invited back again. Call the Second City in Hollywood and get tickets to their next show. 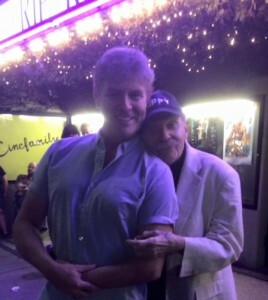 from the premiere of my documentary!